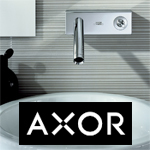 Axor bathroom collections create a bathroom environment from a single source in a range of different styles. In doing so, some world-famous designers offer their individual take on handling water in the bathroom. This results in creations that give the room a sense of life and emotion. RELAX. REJUVENATE. RENEW. 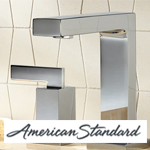 A lavatory faucet to inspire your powder room? 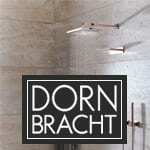 A custom shower system to stimulate your master bathroom? 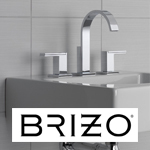 Whatever you’re seeking, the distinct designs of Brizo will take your bathroom from functional to fashionable. 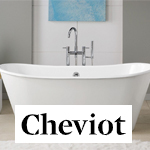 Cheviot bathtubs are made in Europe from the highest quality cast-iron; all made to last the test of time. Their clawfoot tubs and sophisticated cast iron tubs are available in elegant traditional and contemporary designs. 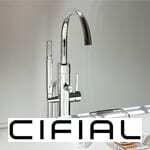 Founded in Portugal in 1904, Cifial has over 100 years of plumbing and hardware manufacturing experience. Inspired by the heritage of metalworking, Cifial utilizes state-of-the art casting, forging, machining, and finishing technology to create luxurious product lines. 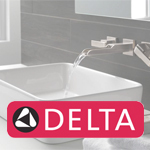 At Delta Faucet, kitchen faucets, bathroom faucets and shower systems pair inspirational design with innovations that anticipate people’s needs. 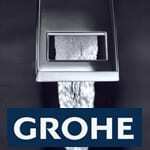 At GROHE, design is more than just aesthetic trappings.It is a quality feature and stands for the perfect synthesis of form and function. As a winner of the prestigious Red Dot “Best of the Best” award, Grohe’s design and durability offer an upgrade to excellence in any home. The best ideas for the bathroom – a bathroom that optimally adapts to individuals’ needs. Creativity and innovation are at the heart of the Hansgrohe company philosophy. This includes designers who promote forward thinking on bathrooms and develop innovative ideas for even greater bathroom enjoyment, showering comfort and well-being for customers around the world. In 1873 Kohler’s founder created the first cast iron and powdered enamel bath tub. 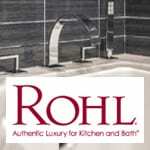 Since, Kohler has grown to be one of the most significant companies in plumbing design. 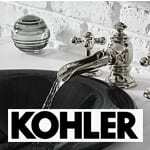 With a distinctive style, a wide array of choices, and a commitment to uncompromising performance, Kohler will not only update your kitchen or bath, but upgrade them into beautiful getaways. 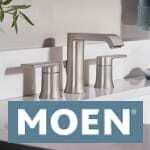 Faucets, showers, and more come together to add comfort, luxury and a dash of personal style to your bath, and discover ways to turn your day-to-day tasks into extraordinary experiences. 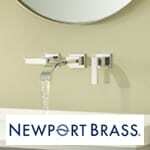 The Newport Brass timeless designs cover the traditional, transitional, and contemporary styles. Mix and match to create your custom design aspiration - total solution for your bath room with matching fittings and decorative hardware. 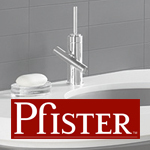 Pfister delivers style and function in one sleek fixture and is proud to lead the industry with advanced innovations that provide you the latest in modern conveniences and improve your everyday experiences. Unique high-quality products as sophisticated as their performance! 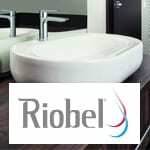 Riobel has been a benchmark for excellence for almost 15 years. Our faucets have been designed for easy installation, and we equip all our dual-handle lavatory and bathtub faucets with German ceramic cartridges for durability and optimum performance. 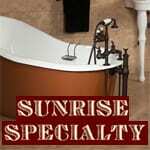 Sunrise supplies period-style bath fixtures including cast iron bathtubs, solid brass showers, faucets, toilets, and accessories. 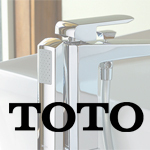 TOTO leaves nothing to chance when it comes to design. TOTO embraces holistic design principles because performance, quality, functionality and ultimately, customer satisfaction, are just as important as aesthetics. 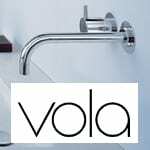 VOLA is renowned for manufacturing luxury Scandinavian bath faucets, showers, and accessories. Quality is part of their culture and only by choosing the very best materials is VOLA able to produce items of such high quality. Only perfect products are good enough for the VOLA customer. 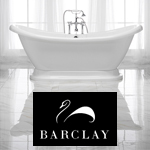 Barclay Products can trace its history back to 1933, when its primary products were Converto showers to enable consumers with claw foot tubs to take showers as well as soaking baths. Today Barclay offers more than 500 different styles of bathtubs, unique sinks, pivoting drains, faucets, high-tank toilets, and – of course – Converto showers!